John Aldridge, world-renowned master drum engraver and vintage drum historian, has endorsed the JNDC snare drum collection with his own Signature Line. 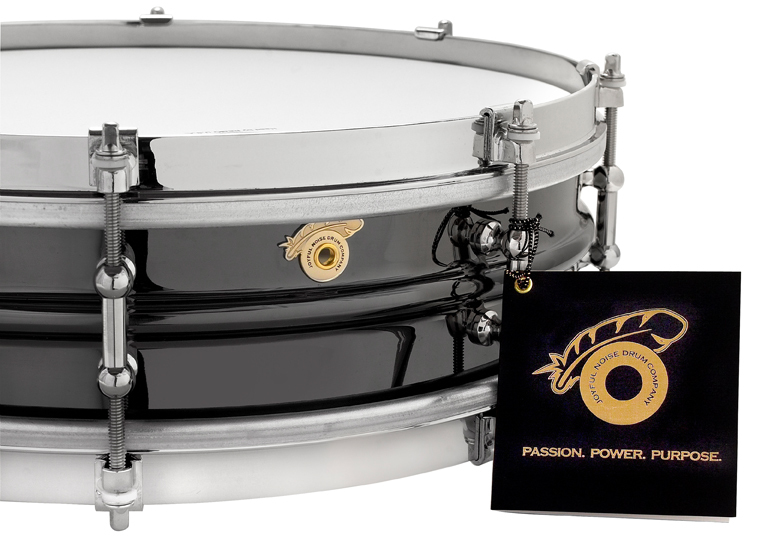 Modeled to his specifications, the JNDC John Aldridge Signature Line features the seamless JNDC 4x14 brass shell with a bright nickel-plated finish (Standard model) or black nickel-plated finish (Deluxe model), bright nickel-plated hardware with eight (8) Corder tube lugs vice the JNDC standard of ten (10) lugs, and 2.5mm single flanged hoops. 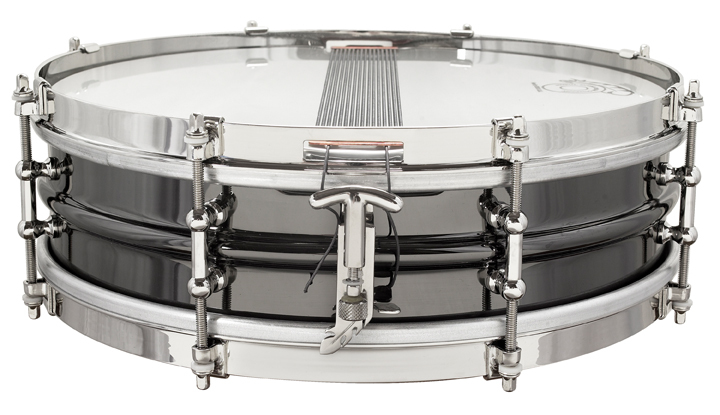 Only the John Aldridge Signature Elite Model will feature the black nickel-plated finish with a mirrored panel pattern hand-engraved by John, making each drum a one-of-a-kind collectable. Hand-engraved hoops are optional on the JNDC John Aldridge Signature Deluxe and Elite models. The JNDC John Aldridge Signature Line metal snares also feature the 24k gold-plated brass JNDC feather motif drum badge and the bright nickel-plated proprietary cast bronze JNDC “One Touch Classic” snare drum strainer (throw-off) system (set player snare string application only).